We also got to talk about our favorite activities and things we have in common. 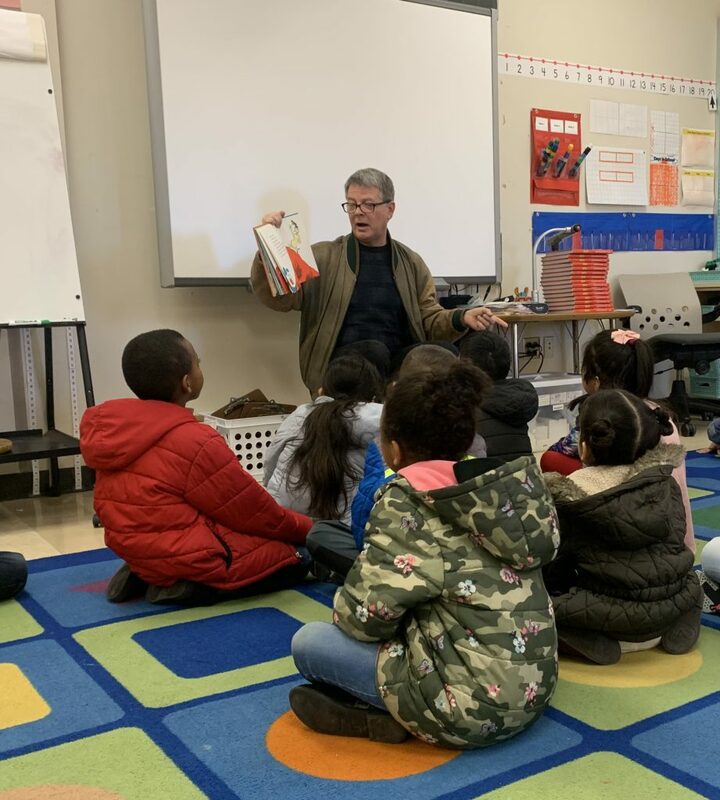 I was able to share how fun it was to have my parents read to me and how much I love to read with my daughters. There are so many ways to bring light and encouragement to life in our community. What is your favorite way to make a difference in the world around you? As we prepare our hearts and minds for Easter, we are excited to take a deep dive into discovering how we are uniquely designed to serve God. This six-week small group study will explore who we are and what our purpose is in the context of loving and serving God. We are using Pastor Rick Warren’s framework called S.H.A.P.E. We will meet at the church during Church Night on Wednesdays in Lent. Each week, we will study one letter tying it all together in our last session. Join Gail Wathan (Council President) and Christy Hartigan (Certified Life Coach) who are co-facilitating from 7-8pm. What does S.H.A.P.E. stand for? Spiritual Gifts: God-empowered natural tendencies for service. Heart or Passion: what you love to do and care about most. Abilities: the natural talents you were born with. Personality or Style: your unique combination of personality traits. Experience: the experiences in life that have molded you that you can use to unify the Kingdom. Why is discovering my S.H.A.P.E. important in the Christian life? God has created you and molded your life in unique and wonderful ways so that you can experience the joy of helping the Kingdom of God “to come on earth as it is in heaven” (Matthew 6:10). We do different things to make a living, but we all have the same vocation, or calling, which is to use our talents, abilities, interests, personality, and experience to follow Jesus, to strengthen and unify the Body of the Church, and to make known the mystery of Christ. When we use our abilities for God’s glory, we come to know God’s love more fully and how He accomplishes His work through our lives. 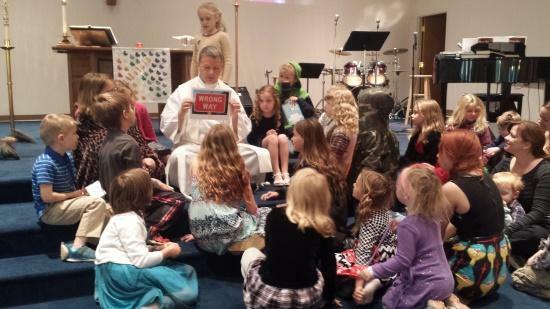 Each of us has something unique to contribute in ministry. Knowing our S.H.A.P.E. helps guide us to the right places to invest our time and service. When you serve using your S.H.A.P.E., the love of God more fully exudes from you. and your message to your community and the world is strong and clear. You lean into your purpose serving God through your congregation and your daily lives! How do I know what my S.H.A.P.E. is? Taking the S.H.A.P.E. Assessment and discussing results in a safe, fun and trusting small group context will give you an idea of what resonates most with you. This is about you discovering you! Ask your family and friends what they have seen you demonstrate. Find a ministry area that fits your S.H.A.P.E. and see if you sense God at work. Through this process you will begin the journey of discovering who you are, why you are here, and what you do best! How will I know when I’m using my S.H.A.P.E.? The results of serving with your unique S.H.A.P.E. are both external and internal. You will be more effective and fruitful in ministry as you use the tools God has given you. And, you will experience joy and fulfillment as you serve others. What part do Spiritual Gifts play in my S.H.A.P.E.? Spiritual Gifts are special abilities given by God to be used to minister to others. They are a demonstration that God’s Holy Spirit is working in us, enabling us to do things we could not otherwise do. 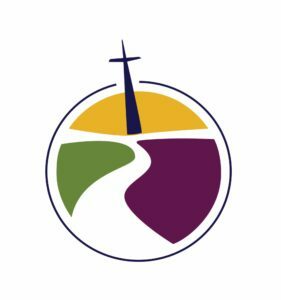 Where does the Bible talk about Spiritual Gifts? Though the lists vary, each reference indicates that the New Testament writers considered Spiritual Gifts to be an important part of the Christian life. Biblical references are found in I Corinthians 12, I Peter 4:9-11, Romans 12:3-8, and Ephesians 4:11-13. 4There are different kinds of gifts, but the same Spirit distributes them. 5 There are different kinds of service, but the same Lord. 6 There are different kinds of working, but in all of them and in everyone it is the same God at work. 7 Now to each one the manifestation of the Spirit is given for the common good.8 To one there is given through the Spirit a message of wisdom, to another a message of knowledge by means of the same Spirit, 9 to another faith by the same Spirit, to another gifts of healing by that one Spirit, 10 to another miraculous powers, to another prophecy, to another distinguishing between spirits, to another speaking in different kinds of tongues,[a] and to still another the interpretation of tongues. [b] 11 All these are the work of one and the same Spirit, and he distributes them to each one, just as he determines. 3 For by the grace given me I say to every one of you: Do not think of yourself more highly than you ought, but rather think of yourself with sober judgment, in accordance with the faith God has distributed to each of you. 4 For just as each of us has one body with many members, and these members do not all have the same function, 5 so in Christ we, though many, form one body, and each member belongs to all the others. 6 We have different gifts, according to the grace given to each of us. If your gift is prophesying, then prophesy in accordance with your[a]faith; 7 if it is serving, then serve; if it is teaching, then teach; 8 if it is to encourage, then give encouragement; if it is giving, then give generously; if it is to lead,[b] do it diligently; if it is to show mercy, do it cheerfully. 2 We are God’s Masterpiece. He has created us anew in Christ Jesus, so that we can do the good things he planned for us long ago. How do I acquire a Spiritual Gift? The Holy Spirit gives Spiritual Gifts to us. We cannot earn spiritual gifts, nor can we choose them. Spiritual Gifts are given according to God’s unique design and purpose for each of us. Spiritual Gifts are given so that the church has what it needs to spread God’s love to the world. They are not given for the benefit of the individual who receives them, they are given to bring unity to the Body and for the good of God’s Kingdom right here and now. What part does Heart play in our S.H.A.P.E.? God has given each of us a unique emotional desire and motivation to make a difference in the world. Although God cares about every need, we instinctively care about some things more than others. When we serve in our area of passion we are effective, energized, and through our passion and commitment we experience joy. What part do our Abilities play in our S.H.A.P.E.? Natural talents are given by God to every person. They are the abilities that help us function in the world. Abilities can be indicators of your giftedness but do not necessarily equate to your Spiritual Gifts. Both are God-given. Our natural talents have many applications; Spiritual Gifts are given to carry out God’s purposes. What part does our Personality Style play in our S.H.A.P.E.? Our Personality Style reflects the natural preferences we have for how we approach life. It helps you decide what kind of environment you are most comfortable serving in. Are you energized by relationships with people or achieving tasks? Are you a planner or spontaneous in how you organize life? What part do life Experiences play in our S.H.A.P.E.? All of us have significant experiences in our lives, amazingly joy-filled and equally heart-breaking, that has helped make us who we are today. God desires to use these experiences all for his good. Our experiences become valuable tools for ministry as we serve others and expand God’s Kingdom. Prayer: O Lord Jesus, make us instruments of your peace, that where there is hatred, we may sow love, where there is injury, pardon, and where there is despair, hope. Grant, O divine master, that we may seek to console, to understand, and to love in your name, for you live and reign with the Father and the Holy Spirit, one God, now and forever. Amen. The sermon begins after the reading from Luke’s Gospel. Wife, Mother, Church Member, Business Manager and Volunteer EMT – these are the many roles Leanne has been called to. How does one come into all of these roles in life and in the community? A life time of answering those calls to mission and purpose! Born in New York, Leanne grew up an Air Force kid and came to live in Pax River with her family as a child. In 2000 her mother, Deborah Yates, started a residential and commercial cleaning company called Spare Hands Cleaning. In 2006 Leanne joined the company and for the last 10 years she has been the manager as well. This is the same company that has cleaned for Good Sam every other week for more than 8 years and has served the community for 19 years! This family company has a remarkable mission – and it’s not just cleaning! Like many businesses they do their fair share of donating a percent of profits and raffling off a free service, but they also partner with the Department of Aging to offer discounted services to those in need and have services available to hoarders who want help making their homes livable. Another wonderful program they participate in is “Cleaning for a Reason” – A non-profit that serves women undergoing cancer treatment by matching them with a company who will provide house cleaning service for free. Locally Spare Hands donates 2 cleanings a month to the program and Leanne had been blessed to be a part of the lives of all those in need who find their way to the Spare Hands family. A year after starting with Spare Hands, Leanne and her fiancé Thomas were searching for a church that would marry them and their path led them to Good Sam. They continue to embrace the mission of the church as well, finding ways to serve the community. Just 4 years ago Leanne decided to answer another type of call – to be a trained as a volunteer EMT for our local Lexington Park Volunteer Rescue Squad (LPVRS). The 2 stations that make up the LPVRS are on call 24/7 staffed 100% by volunteers – drivers, EMT providers, and crew! 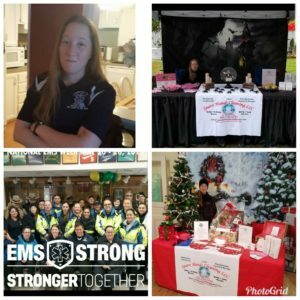 To become an EMT, Leanne took the 5-month training course and passed a practical exam and committed to passing a National Certification Exam as well to serve to her maximum potential. The flexibility of volunteering for shifts and committing to a minimum of 30 hours a month fit well with her other roles in home and business. 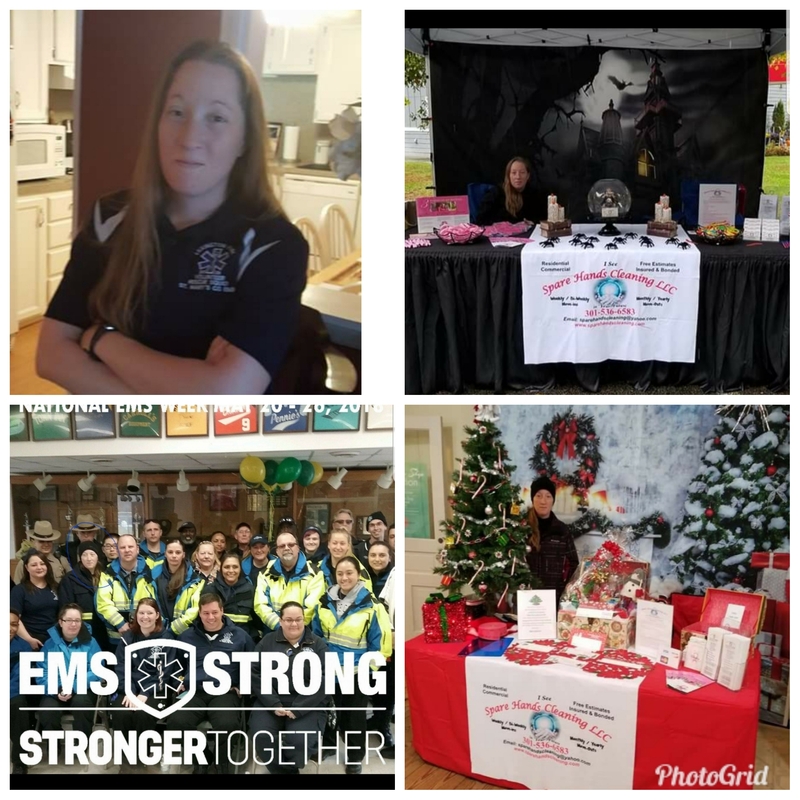 Her 12-year-old, Kara, is involved as well as an Associate Member helping with fundraising and starting on her own years of service in our community. When she turns 16 she will be able to serve as a Junior Member, become CPR certified, serve on shifts and even ride on as crew. Her older daughter Kamesha found her own path in the community volunteering with Habitat for Humanity. 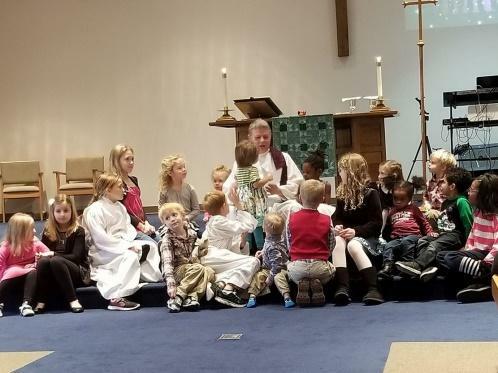 Thank you, Leanne for sharing your mission and being an example to your children and a light to those around you in our church family and our community. March 6th is Ash Wednesday and the beginning of Lent. In Lent we begin again our journey to the Cross of Christ and the purposes God has for us in the world. We begin by remembering the cleaning power of the Cross and wear the sign of the cross on our foreheads in ash to remind ourselves and others that God’s way is a Holy Way, for Jesus and for us. Our Ash Wednesday Worship is at 7 pm. Change is a constant in our lives. Some changes come in gradual transitions, as when daytime shifts toward twilight or winter turns to spring. Others happen in the blink of an eye, separating time into “before” and “after”. We choose to undergo some changes after carefully considering our options, while others are forced upon us. Change is hard. We long for the expected and familiar, but all too often find ourselves in the midst of uncertainty and the unknown. We cannot predict how things will turn out. But where is God when change comes upon us? How shall we regard change in our lives and how shall we apply our faith to the change we experience? We invite you to come and journey these questions this Season of Lent during Mid-Week Vespers on Wednesday Evenings at Good Sam. 7:00 pm Class “Finding your S.H.A.P.E.” What’s SHAPE? 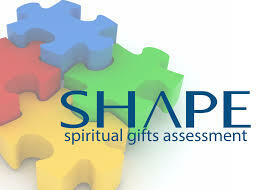 SHAPE stands for Spiritual Gifts, Heart, Abilities, Personality, and Experience. Although there are many paths to discovering your best place of service, the online SHAPE assessment is one way to learn more about the role you can play in God’s grand story! Want more information about shape before you start? To review the FAQ’s click here. 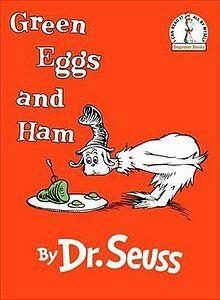 Green Eggs and Ham, Good for kids and Good For us! I enjoy reading to my girls. We talk and giggle. We snuggle and focus together. Reading opens worlds in the mind and in our lives. A child who loves and confidently reads on grade level by third grade is far more likely to graduate from High School than a child who cannot (ref). It is really true that reading and learning to read makes so much possible. We have an invitation from Carver Elementary to read to our neighborhood children at School and in the classroom. The program is called Read Across America. You can sign up to read as little as ½ hour to a class. I signed up to read Green Eggs and Ham to a first and then a second grade class on Monday Feb. 25th. Would you be willing to help? 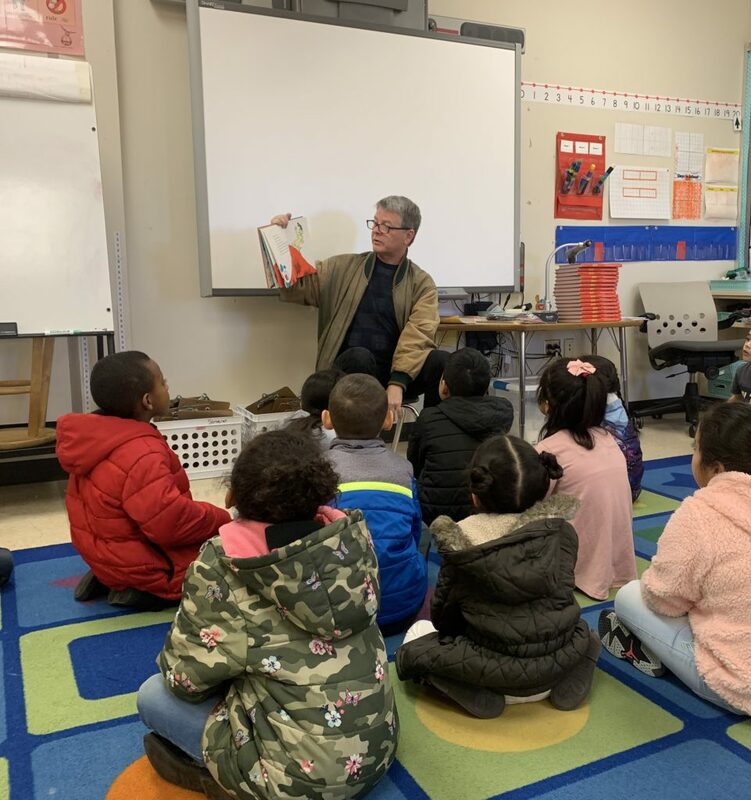 This year Read Across America runs from Feb. 25 – March 1st. Contact Lisa McCoy at Carver to sign up. What if we could find our neighbors throughout the process of fostering a love of reading among children in our community. Some families do this naturally and some do not. What a great way to celebrate our children and have fun together. Do you have a favorite children’s book that you would love to share. Dr. Seuss is a great place to look. I remember having Cat in the Hat read to me as a child. What a great gift to share. 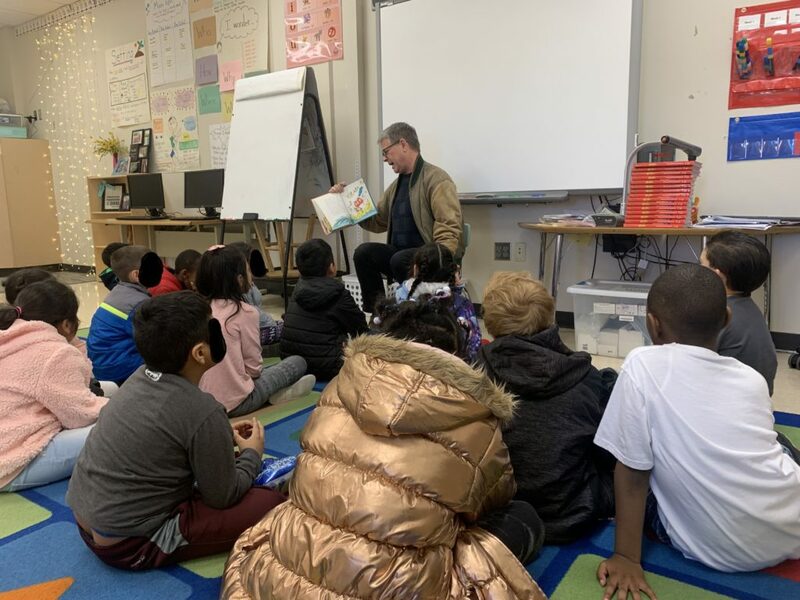 The National Education Association is building a nation of readers through its signature program, NEA’s Read Across America. Now in its 20th year, this year-round program focuses on motivating children and teens to read through events, partnerships, and reading resources. Prayer: Most holy God, the earth is filled with your glory, and before you angels and saints stand in awe. Enlarge our vision to see your power at work in the world, and by your grace make us heralds of your Son, Jesus Christ, our Savior and Lord. Amen. At this moment in worship, my joy is full and it seems that their joy is taking shape. At this moment, what is foreign, strange and far off (words and texts and songs for big people) has now stopped and drawn near to them. The joy of it for me is that I get to be the vessel that holds open that space where Jesus comes to love our children. Often this is a high point in our worship together for me. Many of you tell me your children can be heard saying words that I say from worship or doing gestures that I use in worship. What fun. Come gather for worship and together we will celebrate with our children the joy of the presence of Jesus among us. Our Daily Bread Food Pantry Receives Over $2700 Worth of Food!